NEW 2L Pressure Water Spray Bottle Pump Chemical Pressure Sprayer Weed Killer. Powerful pump action and pressure relief valve. Shatterproof and frost-resistant. Adjustable spray nozzle. This great garden accessory. 12V 10Ah Litio - cod. Batteria: 12v 10Ah LITIO. Pompa a spalla 16 Lt. a batteria. Tensione caricabatterie in uscita: Dc 12v. Ai sensi dell´art. 5 D. Lgs. Noi faremo lo stesso con te. Chiamateci per maggiori informazioni. 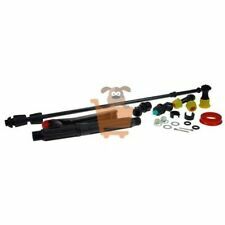 Parts include - switch, fibre washer, split pin, lance, plunger cup, washer, 4 jet nozzles, rubber seal, retaining clip, twin head single jet nozzle, single jet nozzle, glass ball and plunger cap. We will always do our best to resolve any issues. 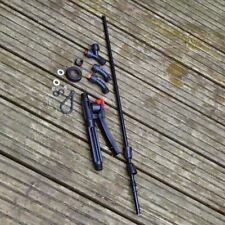 Kingfisher Sprayer Spares Kit. Compatible with 12, 16 and 20 liter kingfisher sprayers. 1 x Single Fan Spray Nozzle. 4 x Split pin for connecting rod. 1x washer for connecting rod. 1 x Switch. Image Gallery. La pompa irroratrice comprende Pompa a spalla a batteria per irrorazione da 15 L . Pompa per irrorazione elettrica con set di 4 ugelli per ogni vostra esigenza . Capacità: 15L. Pressione Max: 4/4.5 Bar. Nutzen Sie das Verlängerungsrohr für Ihr SG 11 zur Pflege Ihrer schwer zugänglichen Pflanzen wie zb. Material: Kunststoff. Material Kunststoff. Länge Rohr 20 cm. Verlängerung für Stihl : SG 11. Produktart: Verlängerung. GOIZPER SPARE PARTS. Osatu - Tango 5 & 7. Matabi - Style 5 & 7 and Berry 5 & 7. TRIGGER RELEASE VALVE, LANCE AND NOZZLE. All sprayers supplied by us can always be sent back to be serviced and spare parts will always be available from us. Drucksprüher 12 Liter Rückenspritze Druckspritze Drucksprühgerät Sprühgerät. Ideal zum Pflanzenschutz, zur Unkraut- oder Schädlindsbekämpfung im Garten, Obst-, Wein- und Gemüseanbau. - 1 Drucksprüher. CUPRINOL SPRAY AND BRUSH PRESSURE SPRAYER. Use the new Cuprinol Spray and Brush. All sprayers supplied by us can always be sent back to be servicedand spare parts will always be available from us. The Spray and Brush makes it easy to transform your garden into a brighter, more inviting place. Nozzle Set which includes a fan spray nozzle. 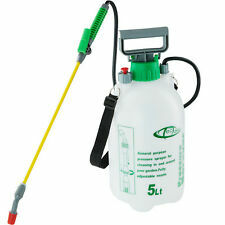 A FULL RANGE OF ACCESSORIES INCLUDING EXTENSION LANCES AND SPRAY SHIELDS ARE AVAILABLE FROM SOLO SPRAYERS LIMITED. Pressure Regulator which can be set at Free flow, 1.5 Bar and 3 Bar. MATABI BERRY 7 PRESSURE SPRAYER. A compression sprayer with a 5- litre working capacity, with a translucent tank to see the liquid level, fiberglass lance, chamber shut-off valve in Viton, ergonomic handle, filter with Viton seals and stainless steel spring. Is a quality Rocwood item. Part Number. Aqua Systems 15L Backpack Pressure Sprayer. Condition is New. Includes soft bristle brush and long reach lance. This product has so many uses, from washing your car, windows and muddy dog, to taking it on cycle rides to wash your bike before putting it back in the car. Pulvérisateur 2 L à pression préalable. Couleurs non contractuelles. 2Ltr Power Pump Action Pressure Sprayer. Includes variable jet brass nozzle for precise application of insecticides etc. Powerful pump action and pressure relief valve. Shatterproof and frost-resistant. 1 x Flatterventil / Topfmanschette - Teile-Nr. ® Sprühgeräte (Einbauposition mit x gekennzeichnet). 1 x Siebeinsatz - Teile-Nr. : 1395. Material: NBR & Kunststoff. Dichtung - Teile-Nr. 6208 (alt 4211). Spare nozzles compatible with Matabi sprayers. La pompa irroratrice comprende Pompa a spalla a batteria per irrorazione da 15 L . Pompa per irrorazione elettrica con set di 4 ugelli per ogni vostra esigenza . Pressione Max: 4/4.5 Bar. Pompa: mini pompa a diaframma. Spare glass fibre lance compatible with Matabi sprayers. The Faithfull Trolley Sprayer is supplied fitted with Viton ™ seals, making it suitable for use with water-based and most solvent based chemical products. With trolley wheels and an adjustable handle that makes it perfect for use when you are unable or unwilling to carry or lift heavy loads. Moteur pompe du pulvérisateur électrique "Ecojet V5", "Labojet", "Eco-sprayer" (1ère version). Modèles pulvérisateurs concernés(existent aussi dans d'autres coloris) . This 2 litre hand sprayer with powerful pump action and pressure relief valve has been made with a shatterproof and frost-resistant construction. Includes variable jet nozzle for precise application of plant feeds/watering etc. The translucent bottles are clearly marked with graduations in both litres and fluid ounces for accuracy when filling or mixing water based non-viscous fluids within the bottle. A shoulder strap is included with both bottles and a pressure release value is located on the shoulder of each bottle. This kit has a collection oftotal 20 pcs. of Viton O-rings, gaskets, seals and washers as pictured. Easy to install by anyone. Fits Hudson #90011, 90111, 90112, 90113, 90133, 90162, 90163, 90181, 90182, 90183, 90192, 91183, 91184, 92130, Sprayers and others. Pulvérisateur à dos au profil confortable avec harnais et poignée intégrée. Pulvérisateur à dos. Lance en acier inoxydable longue portée avec embout réglable. Adjustable spray lance. Large filter opening with integrated filter. It is a really quality piece with the benefits of a lockable trigger and the option to adjust the length and lock it in position at any length between 50cm -100cm giving you a perfect custom length for the operator. The service provided is second to none. All sprayers supplied by us can always be sent back to be serviced and spare parts will always be available from us. Powerful pump action and pressure relief valve. Shatterproof and frost-resistant. Includes variable jet brass nozzle for precise application of insecticides etc. Also suitable for use with household chemicals. This 1-Litre hand sprayer has a powerful pump action, and is manufactured from durable, robust materials. 1L HEAVY DUTY PORTABLE SPRAYER. 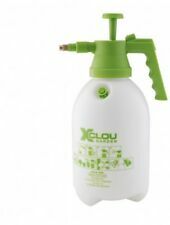 · 1 Litre hand Pressure Sprayer. · Variable jet brass nozzle. BLUE VIPER PRECISION 3-IN-1 Battery Powered WEED SPRAYER (FREE Bottle Dye) NEW !